St. Elsewhere is here. What is St. Elsewhere, you ask? Yes, it is the name of the new AW 2019/20 collection from Preciosa Components. More than this though, it is a virtual reality, top-secret crystal testing facility that was created especially for the new collection. It got its first public outing at Premiere Vision Paris this week. 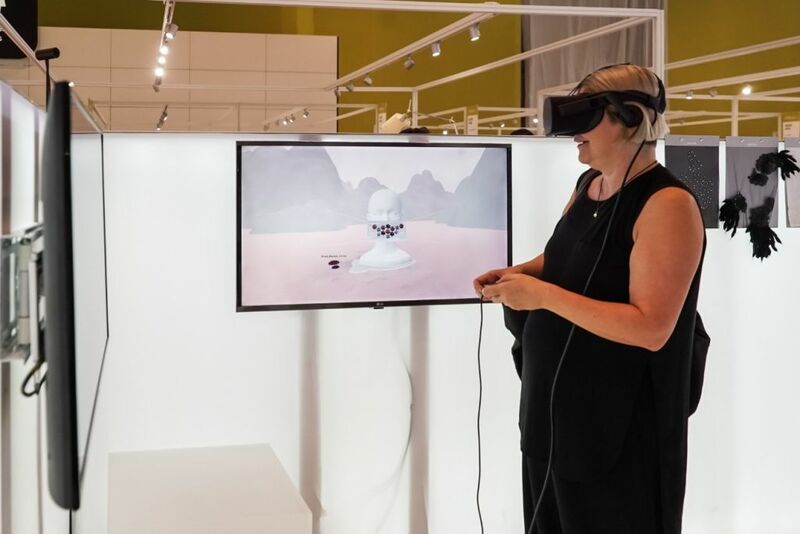 As soon as the VR goggles go on, you find yourself in a bleak, eerie desert-scape surrounded by mountains, facing our solemn hostess. Welcome to St. Elsewhere. You’re free to explore the environment as you please, and for each of the five stone categories from the new collection, there is a separate environment you can be whooshed away to at the click of a button. Each new location centers on a magnificent, interactive ‘inspirational object’ as taken from Materia Bohemica, aka our brand-new publication featuring the collection. There’s a giant skull, an ominous black glove and hundreds of floating pieces of aventurine to name three, as well of course as glorious 3D versions of some of our key products. 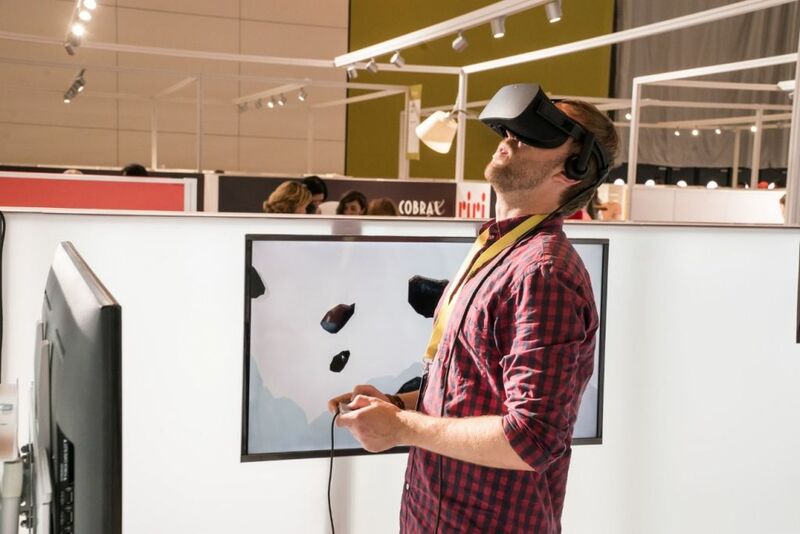 How did the VR experience go down at Premiere Vision? Unsurprisingly, there was a huge amount of interest, and it turned out to be one of the biggest draws to our stand. New novelties from the St. 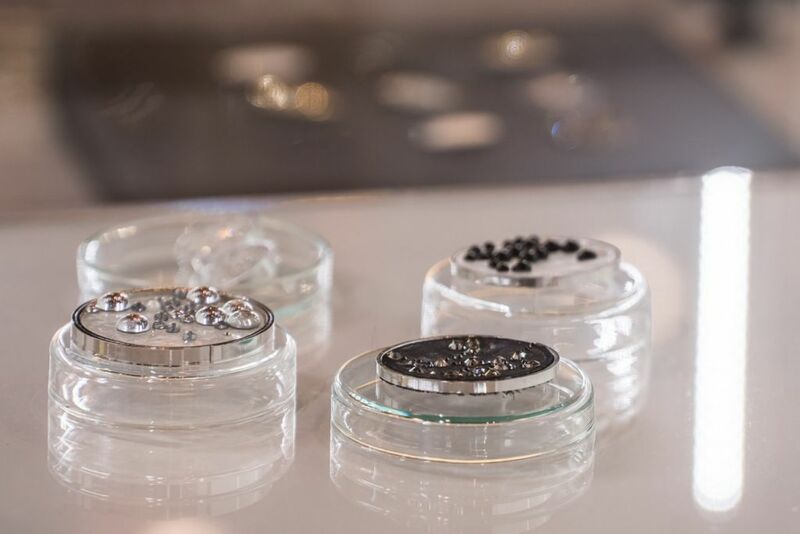 Elsewhere collection include the Chaton Rose MAXIMA in SS2 size (aka the smallest round flatback stone in the world), a host of new colors and coatings, and the incredible Royal Chaton MAXIMA with 18 facets. 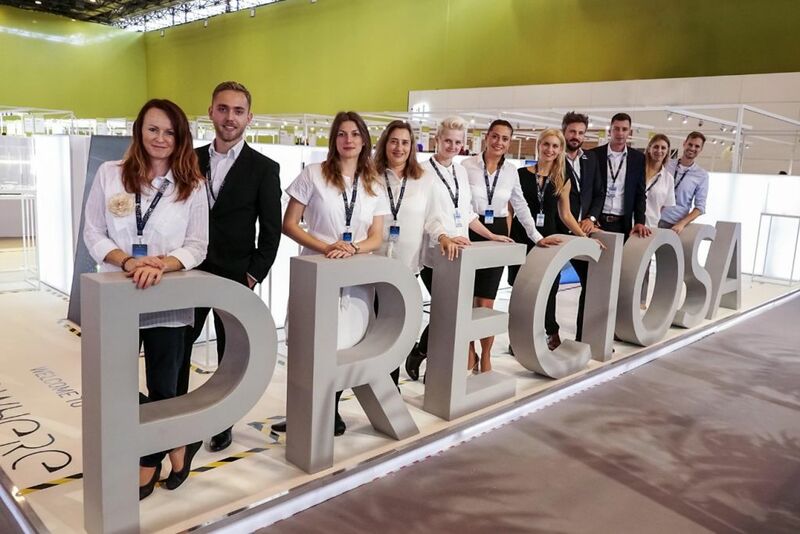 All were on display at Premiere Vision, mostly in the form of the incredible looks designed by Zuzana Kubickova, who worked closely with Preciosa in the creation of the new campaign. 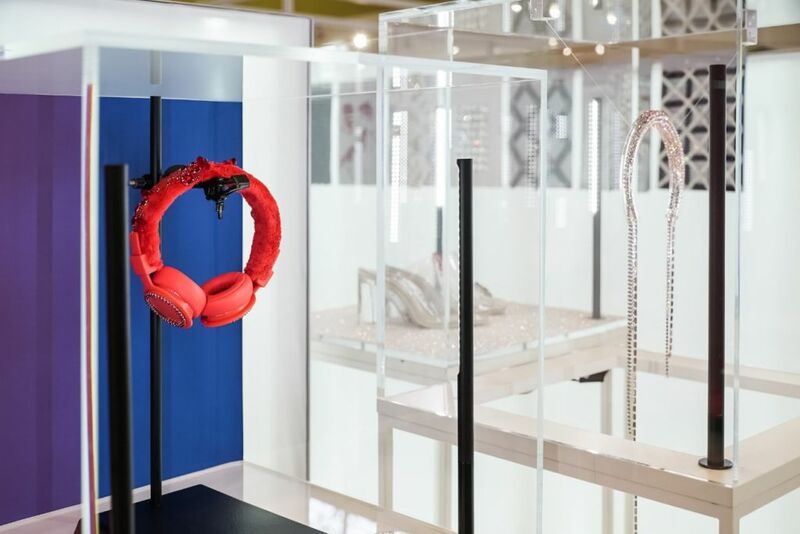 Also of great interest to visitors were the beautiful jewelry sets on display, which were conceived and arranged by Preciosa’s own Design Lab. 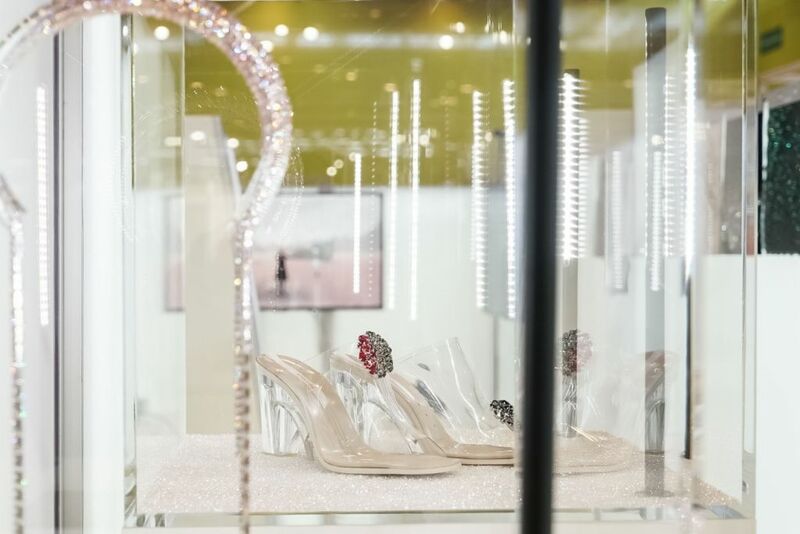 Premiere Vision Paris this season ran from 19th – 21st September. 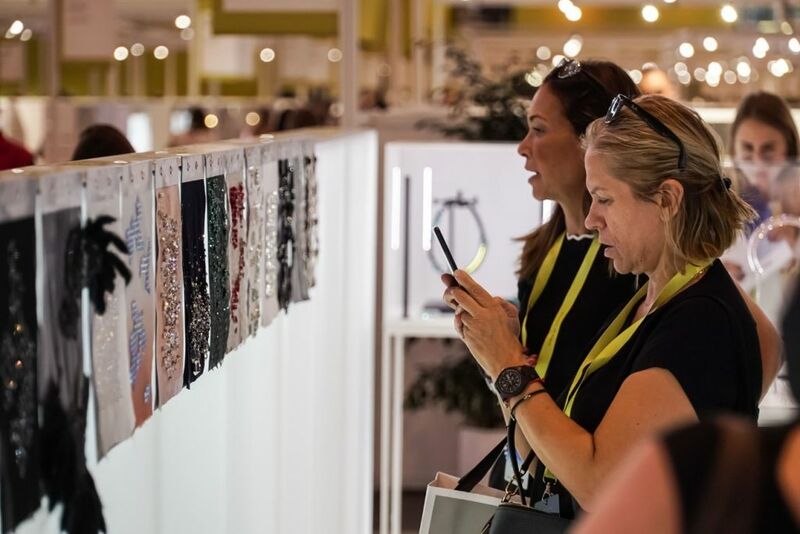 It is renowned as one of the largest and most important fashion industry gatherings in the world; the bi-annual event attracts thousands of well-known textile, leather, and accessory brands and suppliers. 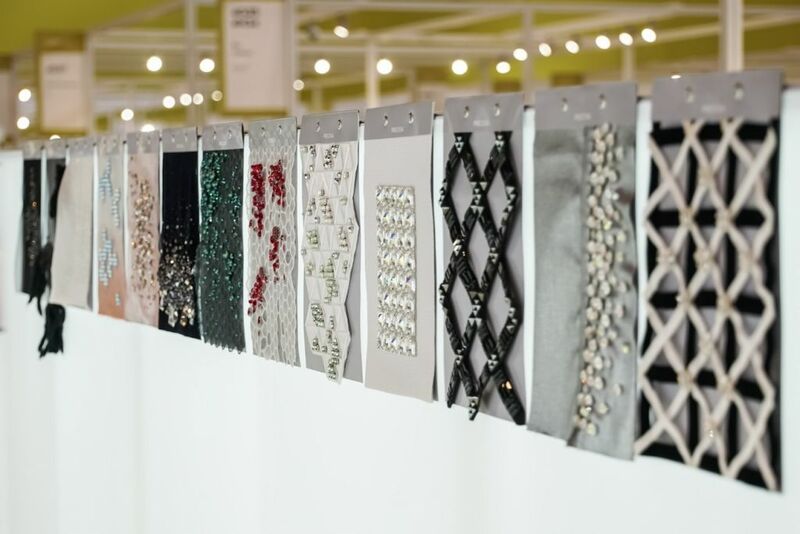 Next up, we’ll be at Intertextile Shanghai from 27th – 29th September. St. Elsewhere will be on full display complete with the VR experience, so if you missed us in Paris, don’t worry, maybe you can catch us in China!